With all of the major triathlons finished for the year, now is the perfect time to put in a run focused block. The shorter, colder days are less amenable to biking making for a natural transition into running. Too many triathletes place the bulk of their training emphasis on the bike and obtaining killer bike splits leading to under-performance on the run. An 8-12 week block of run specific training during the winter months can lead to improvements that will last throughout the rest of the year. There are three components to a run specific block that will enhance your running: practicing running at a higher cadence, running faster and competing in running races. It is easy to ignore the fundamentals of running; working on run form is not nearly as much fun as running itself. 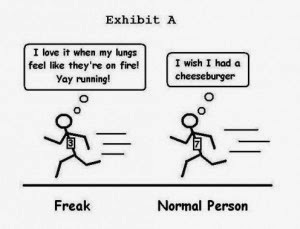 Certainly, run form is like a fingerprint; everyone has their own unique style that cannot be undone (I, for example, run like a duck, no matter how hard I have tried not to run like a duck). But, there are certain isms of running that apply to everyone that should be blended into the natural gait. Most importantly, running at a high cadence of 90 (i.e. 180 for both legs) or above is the key to more efficient and faster running. You can obtain your cadence by counting each time your right foot hits the ground over a 15 second period and multiplying that by 4 (if you double that number you will have your whole gait cycle). If that number is below 90 (or 180), your cadence is too low. Triathletes notoriously run at a low cadence, hence the moniker of the “Kona shuffle”. If there is one thing you master this winter, it should be running at a higher cadence and getting comfortable at a higher cadence at any speed or distance. Running at a higher cadence will prevent over-striding, a form error that can cause all sorts of injuries from the foot (e.g. planter fasciitis) to the shin (shin splints) up to the hip (e.g. bursitis) and lower back (e.g. sacral iliac joint pain). Over-striding occurs when the foot lands in front of the body’s center of gravity. Shortening the stride so you land with the foot underneath the body will result in a faster turnover and more efficient gait. In terms forefoot, mid foot and heel striking, well, that is a conversation for another day. The bottom line is this: landing underneath the body with a fast turnover is more important than where you land on your foot. This quick skip drill will help you with high cadence running. The winter months are the perfect time to work on higher intensity running. With the training load presumably lower, your legs should be fresher and better able to handle faster running. As we get older, top end speed (i.e. VO2 max) is usually the first thing to wane. Working on your VO2 max will have benefits for all running distances. You can do these types of workouts on the track, treadmill, or on the road. Once per week, incorporate run intervals from 15 seconds up to 3 minutes long at a 5k up to a fast 1 mile pace. Now, don’t just go out there on your first day and go bonkers with speed; that is a sure-fire way to get injured. In fact, it reminds me of a group track workout I did many years ago. We did a set of fast 200’s at speeds none of us had seen in years. We all relished in how fast we were running, giving each other high 5’s. Well, it was all fun and games until someone got hurt, which inevitably we all did. The next day, we were all too sore to walk. Begin with very short interval segments and then gradually work your way up to longer segments. For example, start off with an aerobic run with 8-10x15 seconds at 5K pace building down to a mile pace for last several reps with 45 seconds rest. Over time, you should be able to do 8-10x2 minutes with 1 minute rest at these faster paces. Indeed, that workout of 200’s was actually a really good one and an excellent way to build speed; however, it is not the type of workout to jump into without good preparation. Training is just that: training. Nothing puts you to the test like a race. The winter months are rife with running races of every distance. Choose a few and test yourself. Pick distances that are out of your comfort zone (hello 5k) and take your running to a new level. Running races allow you to practice pacing strategies, test out new nutritional products, and are a great way to have fun. Many of the athletes I coach choose a half or full marathon as an “A” race and use other distances as lower level races to gauge fitness. Going into the triathlon season with the experience of running in races will allow you to push harder on race day. Add an extra one or two runs each week for increased fitness and resilience. Thanks for sharing all these tips to ensure a restful — yet productive — offseason that will enable us to be fit and ready to go when it’s time to start training again. Great information about run training. 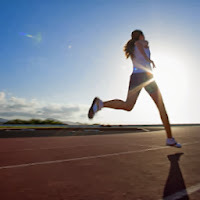 It is very helpful tips to run faster.